Information is an asset. Information availability is a requirement. This page contains a LOT of information so please, read it all before you make any decisions. For an overview of US DataVault and our Cloud based services, go just click HERE. If you have a major disaster or need to plan for one, please see our Agility Recovery page HERE. The challenge of ensuring business continuity in a dynamic, unpredictable, and compliance driven world has proven to be a formidable task. USDV recognizes that the key to meeting these demands relies on the information around us - the ability to secure it, to access it, and to disseminate it, quickly and efficiently. At USDV our mission is to give people control over their information. We understand that an information availability strategy must provide for the protection of information, as well as the ability for people to securely access and share that information. Utilizing people, technology and infrastructure, we provide organizations with Information Availability Solutions. We become part of our customer's team, helping them recover information to speed Disaster Recovery and save their bottom line. 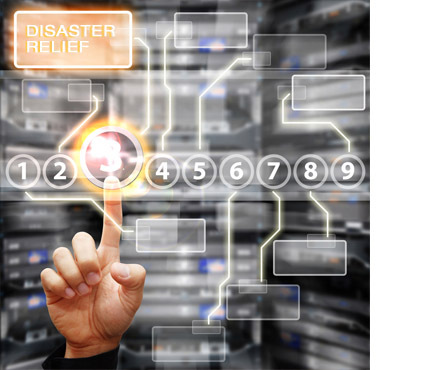 Business Continuity means more than recovering your IT environment. It means making sure that your systems; business processes and people continue to operate at the level defined by your business requirements in spite of service outages. USDV's certified staff has provided Business Continuity Planning and Management for years, and now, with the release of our USDV Backup Pro System 2 Software, we have greatly simplified and sped up this process! USDV now has the ability to get your Organization back up and running in about an hour of being notified of a failure, in most cases! Announcing the USDV Cloud Continuity Program for SMB's and smaller enterprise Clients! Efficient, cost effective and reliable, our Cloud Continuity Program affords you the ability to recover your operations with NO up front costs and NO long term Management costs! Using our Cloud Continuity Program is clean and simple and is a great first line of defense. Simply put, back up your critical data, System State and the programs you need to run on with US DataVault and you are automatically enrolled in our Program! No ongoing expenses beyond the cost of your daily backup plan. Again, as long as you are backing up your Data, System State and the Programs you need to operate with us (we suggest your entire C drive), USDV can have your operation back up and running in a virtual environment in about an hour of notification! An HOUR, not days. You pay for this service on a week to week basis, NO long term commitment, NO ongoing expenses and best of all, NO extra equipment to buy. And it is a very reasonable weekly access fee (contact us for details). Since it is billed a week at a time, use it ONLY as long as you need it. A week or a month.. its up to you. When coupled with our ability to do "Multi-threaded Restores", which affords very fast online restoration (we WILL ship drives to you also if you need), our Cloud Continuity Program not only gets you back up running very fast, but also gives you the ability to restore and recover your local systems much quicker than ever before! The USDV Cloud Continuity Program can be accessed from anyplace, anytime. No need for mobile workstations or emergency office facilities. All that is needed is a computer and Internet access. From home, hotel - anyplace! Our Cloud Continuity program allows fast recovery from partial site or entire site failures. In the event of a server failure (or the failure of an entire site), an available, if prefered, local BDR appliance can first be used to easily, quickly, and transparently virtualize the failed server(s) onsite. If the BDR has been destroyed or is otherwise unavailable, our Continuity Cloud can be activated to bring the failed infrastructure back up within an hour, in most cases. Powerful virtual routing and firewalling features provide easy and, in certain configurations, fully transparent access to virtualized servers. To begin using the US DataVault Continuity Cloud, a Client submits a critical (highest priority) support ticket, including details of the resources needed (number of servers, total RAM and disk space) and the account(s) containing the data for the computers to be virtualized. Our team will respond to these requests 24/7/365. We will provision one or more continuity cloud compute nodes for dedicated use by the Client. Once provisioned, the Client will have full self-management capabilities of the resources on the compute node and will no longer need to involve the USDV team to get things done. The Client agrees to the acceptable use terms, and then is given RDP access to the compute node(s). Once logged in to a compute node, Clients have full access to self-configure the virtual router and virtual firewall, allowing the configuration of any needed VPNs and NAT/PAT policies. If the Client chooses to preform a VDR restore of their backup they must have backed up at least the entire c: drive and System state (please see the USDV knowledge base or contact us for more information). Otherwise, VHD files will be "restored" or otherwise copied onto the storage resources dedicated to that compute node, after which the images can be virtualized. Both Hyper-V and VirtualBox are provided for maximum compatibility. The VMs can be brought up with a variety of networking configurations. A test mode is available where the VMs are fully isolated on a virtual network. More common is the mode where VMs are bridged to a VLAN that is dedicated to and connected to all of a Client's provisioned compute nodes. The virtual router and firewall control the flow of traffic to and from this internal, private VLAN, to a VLAN dedicated to the external connectivity of the virtual network. All compute nodes are assigned several public IPv4 addresses (IPs are provisioned as requested, up to one public IP address per VM that needs to be virtualized). All traffic to these public IPs are automatically routed to the external VLAN dedicated to the Client's compute node(s). The virtual router/firewall thus has full control over the entire network - virtualized servers can be exposed in a DMZ, NAT/PAT can be used, IPsec VPN tunnels can be configured as well as PPTP VPN connections, and VPN connections can be passed through to virtualized servers. IPsec VPN tunnels are especially powerful for a partial-site failure situation where the customer site's firewall is still operational and can form a VPN tunnel to the virtual router/firewall running in the cloud. In this situation, the internal IP addresses of the virtualized servers in the cloud can be the same as they were before, and thus users can transparently use the virtualized servers running in the cloud without any configuration changes. Point to point VPN tunnels can also be constructed to securely deal with situations where the customer's edge firewall is no longer available. Additionally, any public services such as POP3 and OWA can be exposed through NAT/PAT policy rules---Clients then update the DNS records of their servers to point to the new public IP addresses, and these public services become available again, just as before. When the original servers are ready to be recovered, the virtualized servers can take incremental backups, which will update the backed up data like normal. The Client can then backup and use USDV's TruBareMetal to these bare-metal images as they normally would, or request a copy of the data on a USB drive or NAS device. Finally, the Client submits a ticket to de-provision the cloud compute nodes, and the cloud compute nodes are automatically wiped clean back to a well-known state, so that they are ready for use by the next Client. Our continuity cloud is powered by Windows Server 2008 R2 Datacenter (licensed by US DataVault under an SPLA license, as required by Microsoft). This provides unique advantages and peace of mind, so you can be sure that Windows activation issues will not get in the way of bringing up a server when you need it the very most, and that you are fully compliant with Windows licensing requirements even during an emergency. Windows Server 2008 R2 Datacenter provides unlimited guest virtualization rights, and thus you will have the right to reactivate your Windows Server virtual machines, if necessary, while running in the continuity cloud. Windows Server 2008 R2 Datacenter also comes with downgrade rights, so these activation rights also apply to Windows Server 2003. You must be running an Open, Volume, or Enterprise edition of Windows in order to take advantage of these activation rights. Please note that these activation rights only apply while the servers are running virtualized in our continuity cloud. Once the servers are recovered back to their original environments, they should be reactivated with their original activation keys to ensure proper compliance. It is also important to note that some "mass market" servers sometimes come with an OEM version of Windows that is specifically locked down to that manufacturer's BIOS or motherboard. These "OEM-locked" versions of Windows may not boot in a virtualized environment. These manufacturers usually offer the option to upgrade the Windows license to a full volume, open, or enterprise license that does not have these limitations. OEM editions of Windows Server should always be upgraded to a volume, open, or enterprise license to avoid such problems. We will assist you any way that we can. You can submit questions to techsupport@usdatavault.com or you can go HERE to reach our Support page. There you can submit a tech ticket or speak live with a USDV Tech during normal business hours. 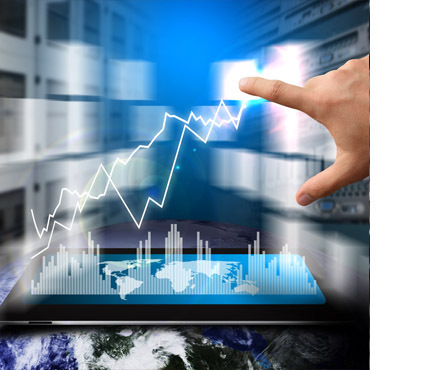 Are you a large Enterprise operation who needs a deeper plan? A Business Continuity Plan (BCP) created by USDV in conjunction with specialized service providers (things like mobile office space), will include an IT section with guidelines to insure information availability throughout service outages whether a major disaster, minor malfunctions or scheduled maintenance. The BCP will include the recovery processes that will enable customers to resume the defined level of business operations quickly, smoothly and efficiently. Resume operations in spite of loss of your primary building, network, or a community-wide disaster. Our Alternate Site Solution offers a combination of computer systems, telecommunications and dedicated infrastructure services that enable organizations to avoid downtime of their mission critical applications in any "event" planned and unplanned. BIC provides backup servers, alternate workspace, telecommunications capabilities and IT resources needed to reconnect your people to your critical business information upon service outage. Backup recovery servers are pre-staged with network connectivity pre-provisioned. They are ready to be loaded with your applications and data upon your request, either for planned maintenance or in the event of a disaster. Your configuration will be defined in your IT Business Continuity Plan and tested annually. Re-locate critical personnel to fully enabled "Hot Seats" at the BIC site in the event that your primary site is non-operational. Phones and fax connectivity are pre-established and tested as part of your IT Business Continuity Plan. The names of employees who can declare a disaster and invoke the recovery plan. The critical employees who will re-locate to the USDV Disaster Recovery Centre and/or other desired recovery sites. The USDV provided services required to support the business processes to be re-located. The processes required to bring the designated employees and services online. Plans are tested at least once a year. This is a full-scale exercise, which provides you with the confidence that should an incident occur all critical data can be maintained or restored in a timely fashion with minimal operational impact to your business. Addresses composition, roles, succession planning, incident/crisis invocation, training, Reaction & Recovery, Restoration & Resumption of all operations. Disaster Mitigation and Prevention, Fire and Safety, Power and Utilities, Generators and Fuel, Alternate Operating Location(s), Security, Supply Chain and Insurance.